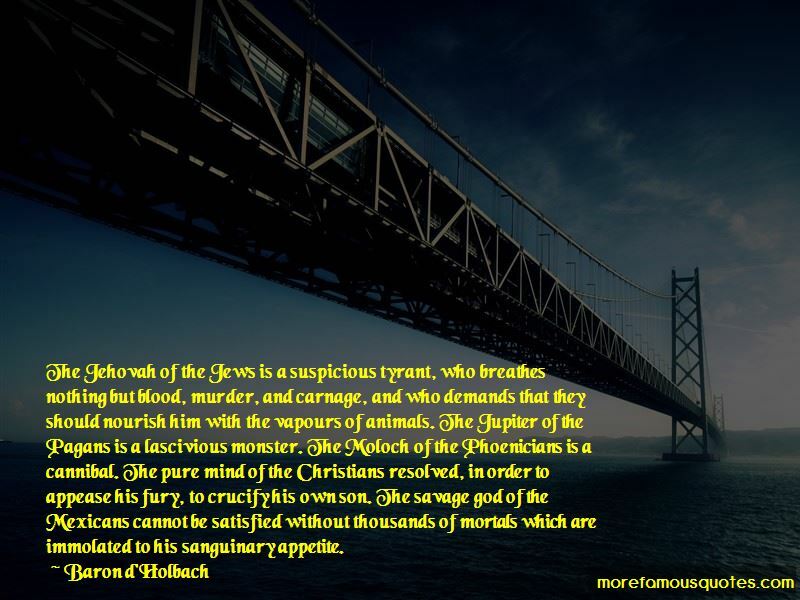 Enjoy the top 32 famous quotes, sayings and quotations by Baron D'Holbach. If God be an infinite being, there cannot be, either in the present or future world, any relative proportion between man and his God. Thus, the idea of God can never enter the human mind. The source of man's unhappiness is his ignorance of Nature. The inward persuasion that we are free to do, or not to do a thing, is but a mere illusion. If we trace the true principle of our actions, we shall find, that they are always necessary consequences of our volitions and desires, which are never in our power. You think yourself free, because you do what you will; but are you free to will, or not to will; to desire, or not to desire? Are not your volitions and desires necessarily excited by objects or qualities totally independent of you? God, we are told, is willing to render himself inconsistent and ridiculous, to confound the curiosity of those whom, we are at the same time informed, he desires to enlighten by his special grace. What must we think of a revelation which, far from teaching us any thing, is calculated to darken and puzzle the clearest ideas? 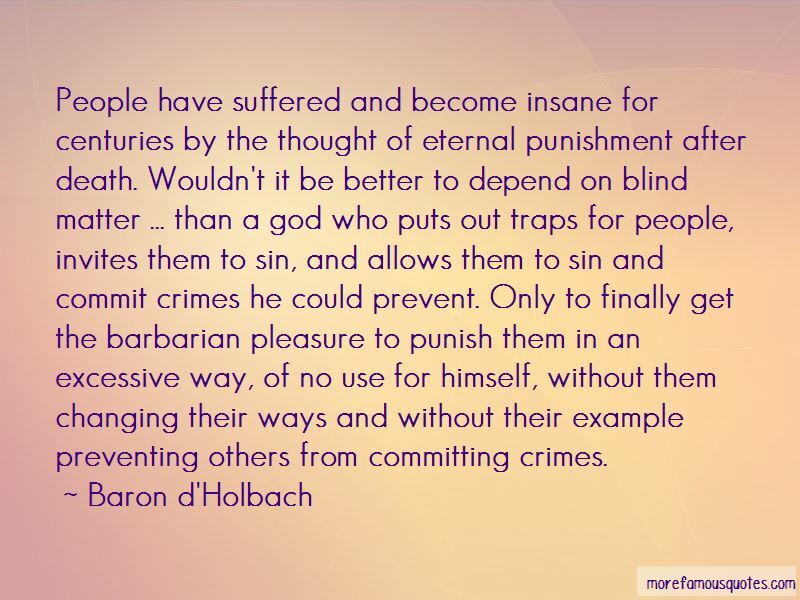 Want to see more pictures of Baron D'Holbach quotes? 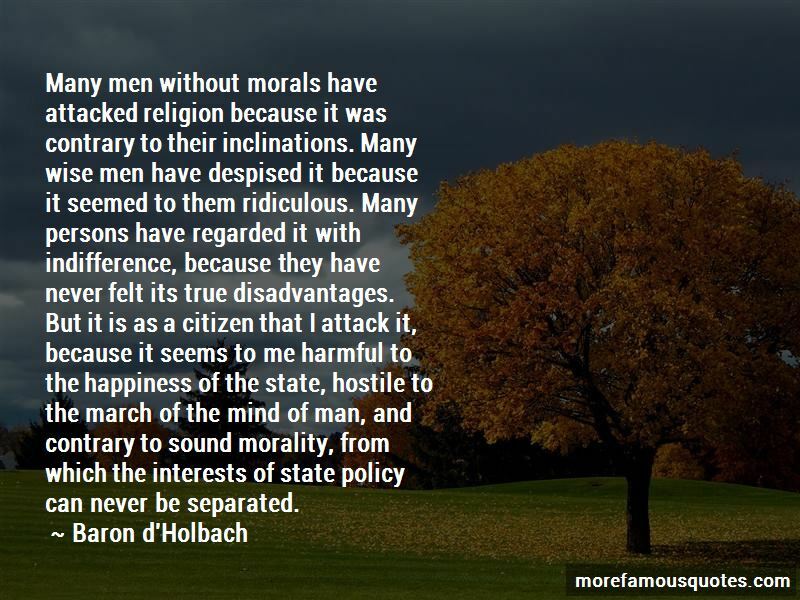 Click on image of Baron D'Holbach quotes to view full size.